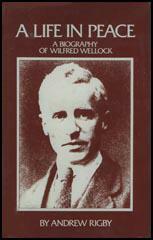 Wilfred Wellock, the son of a factory worker, was born in Nelson on 2nd January 1879. He started work as a "half-timer" in a local cotton mill at the age of ten. He received three shillings for a twenty-eight hour week. According to his biographer, Andrew Rigby: "He started at 6.00 in the morning and worked through until 12.30 with a half-hour break for breakfast at 8.00. After his lunch break he went to school for three hours." Wellock also attended evening classes throughout his teenage years. As he recalled in his autobiography, Off the Beaten Track - Adventures in the Art of Living (1961): "It was a hard life, but a buoyant spirit insured my physical health." Wellock educated himself in the subjects of economics and politics. He also became an Independent Methodist lay preacher. As Martin Ceadel, the author of Pacifism in Britain 1914-1945 (1980) has argued: "Wellock was driven by his puritan upbringing and remarkable self-discipline to improve and educate himself. As he did so, he became preoccupied with the need to restore the spiritual element in life which, from his experience in his Lancashire factory town, he believed had been steadily destroyed by industrialization." Wellock later recalled the influence of his father on his political beliefs: "My father stated emphatically that he would not bow to riches sinces riches should not be made the measure of man's worth and dignity. Those words stuck to me like glue. They had much influence on my future." Another major influence was James Keir Hardie, who converted him to socialism with a speech in made in Nelson when he was a young man. He later recalled that after Hardie's passionate speech about the "dignity of labour" there was "hardly a dry eye in the audience". Writers like William Morris, John Ruskin and Edward Carpenter also persuaded him the need to fight for a utopian future. Wellock became a Christian Socialist: "Most socialists rested their case solely on the economic argument, whereas I saw the basic error of capitalism in certain spiritual deficiencies, and realised that unless these deficiencies were made good little would be gained in the long run, and my unresolved problem was how the socialists would carry the spiritual idealism of their prophets into the new social order." As a result of his religious beliefs he become a pacifist. He argued that "pacifism is simply applied christianity". On 24th July 1913 Wellock married Fanny Wilson. They had worked together in the cotton mills. As Andrew Rigby has pointed out: "She was also a vegetarian, and an active church member and Sunday School teacher with the Bethel Independent Methodist Church in Colne." In the words of Wellock: "we were thus drawn together by a common spiritual bond, and when the time was ripe we married." With their joint savings they bought a terraced house in Nelson for £200. On the outbreak of the First World War he joined the No-Conscription Fellowship (NCF), an organisation formed by Clifford Allen and Fenner Brockway, that encouraged men to refuse war service. The NCF required its members to "refuse from conscientious motives to bear arms because they consider human life to be sacred." The group received support from public figures such as Bertrand Russell, Philip Snowden, Bruce Glasier, Robert Smillie, C. H. Norman, William Mellor, Arthur Ponsonby, Guy Aldred, Alfred Salter, Duncan Grant, Maude Royden, Max Plowman and Rev. John Clifford. Wilfred Wellock was one of those who joined the NCF: "From every point of view I found myself unable to sanction or support the war. It came up against what I felt to be the fundamental law of human life, that of self-giving prompted by love... I also realised that if people suppressed their convictions every time war was declared, the era of world peace and goodwill towards all men would never arrive. I therefore knew that the practice of non-violence in time of war necessitated a willingness to suffer, but also that holding fast to a principle develops an inner strength which calmly triumphs in the end." After the passing of the Military Service Act, the No-Conscription Fellowship mounted a vigorous campaign against the punishment and imprisonment of conscientious objectors. About 16,000 men refused to fight.As Martin Ceadel has pointed out: "Although eligible for exemption from conscription as an Independent Methodist lay preacher, Wellock opted to take his stand as an absolutist". In March 1916 he launched from his home town a Christian revolutionary journal, the New Crusader, published by "the Committee for the Promotion of Pacifism". Wellock was arrested and sent to an army camp in North Wales. He refused to accept military discipline and on 15th February, 1917, he was court-martialled and sentenced to two years hard labour. He served his sentence at Wormwood Scrubs. According to the author of A Life in Peace: A Biography of Wilfred Wellock (1988): "It is claimed by people in Nelson that the town had the highest proportion of conscientious objectors in the country during the First World War. Whatever the truth of this, at the time of Wellock's imprisonment over twenty men from Nelson had served or were serving prison sentences, and at least twelve of these were serving second sentences." The New Crusader was now edited and financed by a Quaker novelist, Theodora Wilson Wilson (1865-1941). Wellock wrote to Wilson while still in prison in 1919. "What a country, what a world is ours!... Shameless selfishness, political and commercial corruption, self-indulgent looseness in manners - in a word, brazen materialism spreading on every hand fostered by national pride, by national and personal hypocrisy, aided, alas, by a soul sold Church - and all the fault of a Holy War!" Wellock was eventually transferred to Strangeways Prison in Manchester. In February 1919 he was court-martialled a third time and was sentenced to two years, to be served in Shrewsbury Prison. He was released on 8th April, 1919. His health suffered while he was in prison and by the time he returned to Nelson his hair had turned white. In June 1919 he wrote in the New Crusader: "It is not to industry as such that we object; it is the spirit in which it is carried on. It is not the making of wealth that we decry; it is the making of a wealthy class. It is not necessarily the creation of cities that we deplore; it is the creation of hells by means of labour whose chief if not sole object is profit." However, he rejected the ideas being promoted by the Communist Party of Great Britain: "Of one thing we may be perfectly sure: the thought of instituting the Marxist or Communist state by means of a popular rising and of expecting, after a short Dictatorship, to effect the transition from the present regime of force to that of free, non-political democracy, is a wild foundationless dream." Wellock had initially welcomed the Russian Revolution but warned against the idea that capitalism should be removed by violent action. "Notwithstanding my enthusiasm for the Revolution, that is, for the spiritual aspiration and idealism of which it is the expression, and my intense desire to see these triumph, become embodied in a more rational and beautiful social order, I am not blinded to the fact that in order to make the Revolution effective things have been done which must inevitably weaken it, if, indeed, they do not bring its overthrow... The springs of action are in the mind and heart, and to these we must direct our attention if we would attain the kingdom of Heaven. Use violence and you create an enemy, and enter on a path of endless deviations." Wellock also became a supporter of Guild Socialism. This movement advocated workers' control of industry through the medium of trade-related guilds. Other supporters included G.D.H. Cole, William Mellor, J. A. Hobson, Frank Horrabin, R. H. Tawney, Leonard Hobhouse and Samuel Hobson. As Andrew Rigby has pointed out: "The guild socialist scheme anticipated the radical decentralisation of control of industry to the level of the workplace, and thus promised the fullest scope for individuality and self-expression in work. Through the workers' self-management of industry, guild socialism also promised a fair distribution of the fruits of industry that would lead to a society without class divisions." In December 1919 Wellock travelled to Holland. By February 1920 he was in Germany and in March witnessed the Kapp Putsch. He was impressed by the way the military dictatorship was overthrown by the organization of a general strike. He wrote that it was "a great triumph for peaceful resistance to evil, an object-lesson I shall never forget, for it revealed to me the illimitable possibilities of non-violent resistance to the very worst forms of social evil." While in Germany he met Ernst Toller and discussed his belief in "pacifist revolution". Wellock now began advocating a new philosophy, "our business is to create a Christian Communist consciousness, and to let the revolution, or what there be, come out of that." He added: "By one means or another we must close the avenue to great riches, so that a new way of life and a new set of values may be revealed without a revolution." In 1920 Wellock joined the Independent Labour Party. "As I moved about the country after 1920 it was next to impossible to secure a response to any kind of spiritual appeal... The only organisation that appeared to be advancing was the Independent Labour Party... The rapid march of the socialist movement in Britain at this time, with the Independent Labour party as its spearhead, owed its success to its essentially spiritual appeal. The ILP inherited the spiritual idealism of the early Christian Socialists and of the artist-poet-craftmanship school of William Morris... This was the only kind of socialism that appealed to me... I am a socialist, provided you give a spiritual interpretation to the term... I have only recently decided to enter practical politics since I have seen the possibility of making politics, through the introduction of spiritual considerations, a veritable means of social transformation." In January 1921 Wellock announced the launching of a campaign in support of an "Affirmation Against War" and convened a conference to be held in London on 24th February, 1921. Eighteen pacifists attended the meeting, and it was decided to establish the No More War Movement (NMWM). Wellock also attended the International Anti-Militarism Congress in The Hague. Wellock was chosen as is candidate in Stourbridge. In the 1923 General Election he came third behind the Conservative and Liberal candidates with 24.4% of the vote. He also lost in the 1924 General Election but he increased his share of the vote and had the satisfaction in the fact that the new parliament contained seven members of the NMWM. The death of the Conservative Party MP in Stourbridge caused a by-election in February 1927. According to the New Leader newspaper, Wellock fought "a brilliant socialist and internationalist campaign with great verve and determination". When the votes were counted he had a 3,000 majority. Later that year Wellock visited the Soviet Union. He later recalled his impressions of the country: "Taken all together, we were greatly impressed by the gigantic achievements of the revolution. There were shortages in plenty, of clothing, household goods and of many foods, but the people put up with them even cheerfully because they knew the cause ... it was this spirit of self-sacrifice for what they conceived to he a great social ideal, which gave us the impression that Russian communism contained something akin to religious fervour." Wellock was re-elected in 1929 General Election. The election of the Labour Government coincided with an economic depression and Ramsay MacDonald was faced with the problem of growing unemployment. MacDonald asked Sir George May, to form a committee to look into Britain's economic problem. When the May Committee produced its report in July, 1931, it suggested that the government should reduce its expenditure by £97,000,000, including a £67,000,000 cut in unemployment benefits. MacDonald, and his Chancellor of the Exchequer, Philip Snowden, accepted the report but when the matter was discussed by the Cabinet, the majority voted against the measures suggested by Sir George May. MacDonald was angry that his Cabinet had voted against him and decided to resign. When he saw George V that night, he was persuaded to head a new coalition government that would include Conservative and Liberal leaders as well as Labour ministers. Most of the Labour Cabinet totally rejected the idea and only three, Philip Snowden, Jimmy Thomas and John Sankey agreed to join the new government. Ramsay MacDonald was determined to continue and his National Government introduced the measures that had been rejected by the previous Labour Cabinet. Labour MPs were furious with what had happened and MacDonald was expelled from the Labour Party. The 1931 General Election was a disaster for the Labour Party with only 46 members winning their seats. Wellock was one of those who was defeated. MacDonald, now had 556 pro-National Government MPs and had no difficulty pursuing the policies suggested by Sir George May. Wellock had not enjoyed his time in the House of Commons: "I never felt so impotent... I found that after a few years in the House of Commons, most Members seemed to lose their enthusiasm for idealistic objectives. The general tendency was towards ease and security, and to regard the House of Commons as a first class club where one can easily meet the people who matter in the political world." Wellock became disillusioned with politics during the 1930s. In his autobiography, Off the Beaten Track : Adventures in the Art of Living: "The decline of that idealism was quickly followed by the rapid spread of the materialistic values of capitalism among the working classes, including the Trade Unions and the Labour Party. This meant that henceforth Party politics would degenerate into a power struggle for the right to determine which social classes or groups should benefit most from the financial policies of the Government." In August 1933 he made his second visit to the Soviet Union. He was depressed by the changes that had taken place since his previous visit: "What struck me everywhere on this second trip was the big change in the spirit of the people. The workers' freedom in the factories, their participation in management, the self-denying ordinance of the communists, and the enthusiasm with which things were done, had all departed in the space of six years! Whatever soul Russian communism ever had - and I had felt its impact in 1927 - Stalin's purges seemed to have obliterated. He inherited from Lenin a considerable spiritual legacy, and left behind a spiritual wilderness." Wilfred Wellock joined Richard Sheppard, a canon of St. Paul's Cathedral and Arthur Ponsonby to establish the Peace Pledge Union in July 1935. The organization included other prominent religious, political and literary figures including George Lansbury, Vera Brittain, Siegfried Sassoon, Donald Soper, Aldous Huxley, Laurence Housman and Bertrand Russell. The rise of Adolf Hitler and Benito Mussolini caused problems for Wellock's pacifism. "Soaked in politics, we were all ardent anti-imperialists and even anti-militarists, but the real essence of pacifism, which is a positive faith, was not in us. We survived the Abyssinian War, because our loathing of Italian imperialism was balanced by an equal loathing of British and French colonial policy; and we were logical enough to see that it was absurd to demand sanctions against Italy unless we favoured providing rival bandits with a gendarme's baton." The Spanish Civil War resulted in many pacifists losing their faith. As Wellock's great friend, Fenner Brockway, pointed out: "If I were in Spain at the moment, I should be fighting with the workers against the Fascist forces." From 1937 the PPU organized alternative Remembrance Day commemorations, including the wearing of white rather than red poppies on 11th November. The PPU published Wellock's pamphlet, Destruction or Construction - Which? in 1938, where he argued against the Air Raid Precaution (ARP) measures introduced by the government, which he considered to be fostering a "war mentality" and a significant step towards the full regimentation of the population. Wellock was forced to admit that an adequate pacifist response to Adolf Hitler was very difficult: "There was nothing pacifists could do in 1939 but standstill and say, if they were allowed to say anything at all, that Hitler might be a worse evil than war, but that to try to overcome one evil with another evil was not only morally intolerable but could well lead to even greater evil." After the outbreak of the Second World War Wellock argued for a different approach. Wellock agreed with John Middleton Murry who argued for "socialist-communities, prepared for hardship and practised in brotherhood, might be the nucleus of a new Christian Society, much as the monasteries were during the dark ages." Wellock also called for the reorganisation of industry on the guild principle of workers' control and self-management. In his autobiography, Off the Beaten Track : Adventures in the Art of Living, Wellock argued that "In the midst of the biggest and most devastating war in history, steps were being taken to build a more stable and enduring civilization on new foundations. By 1941 I was devoting all my time to this purpose. Every month, I spent several days at Holton Beckering to help in its work, and strengthen the faith of the men working there." After the war Wellock became friends with the succesful businessman, Ernest Bader. The author of A Life in Peace: A Biography of Wilfred Wellock (1988) argued: "Bader had been in correspondence with Wellock concerning his ideas and quoted from him in the conclusion to the document. But the whole tenor of the proposal displayed strong echoes of Wellock's ideas. He stressed the desirability of limiting the size of enterprises, emphasised the social responsibility of industry, referred to the human potential for cooperative effort, and affirmed the crucial importance of worthwhile work for the development of the individual." In 1951 Bader formed the Scott Bader Commonwealth and handed over 90% of the shares held by the Bader family to a newly constituted body, the Commonwealth, made up of all those members of the workforce. In 1957 Wellock joined forces with Kingsley Martin, J. B. Priestley, Bertrand Russell, Fenner Brockway, Wilfred Wellock, Ernest Bader, Frank Allaun, Donald Soper, Vera Brittain, E. P. Thompson, Sydney Silverman, James Cameron, Jennie Lee, Victor Gollancz, Konni Zilliacus, Richard Acland, Stuart Hall, Ralph Miliband, Frank Cousins, A. J. P. Taylor, Canon John Collins and Michael Foot to establish the Campaign for Nuclear Disarmament (CND). 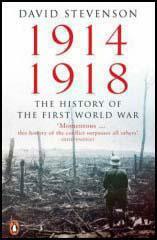 Wellock devoted most of the rest of his life to writing about pacifism and the dangers of war. This included Gandhi as a Social Revolutionary (1950), Power or Peace: Western Industrialism and World Leadership (1950), The Challenge of our Times. Annihilation or Creative Revolution? (1951), Not by Bread Alone (1955), Off the Beaten Track : Adventures in the Art of Living (1961), The Crisis in our Civilisation (1962) and Beyond These Barren Years: Towards A New Creative Era (1965). Wilfred Wellock and his wife moved to an old folks home at Walton-le-Dale near Preston and then, on 20th April 1972, he was admitted to Heath Charnock Hospital and died on 27th July, 1972 at the age of 93. So what with my work at the factory, my studies at the Technical School, and preaching, teaching and many other incidental duties, my life was so hemmed in that I had scarcely a moment for myself. Yet I revelled in it. And of course it was all voluntary work for which I received no financial recompense whatever. I did not want any. In fact, the thought never occurred to me. My work brought its own rewards. In helping to build up and fortify the minds of others, I built up and fortified my own, and in the process enriched my life with innumerable social relationships and abiding friendships. It was a hard life, but a buoyant spirit insured my physical health. These walks revealed my father at his best, for he revealed to me the secrets and the beauties of nature ... Those lonely, glorious moors fascinated me, moved me as nothing else had ever done. I there felt the deeper meaning of freedom. The memory of those boyhood expeditions I still count as one of my most treasured possessions. They gave to my life a mellow, contemplative quality which helped me to acquire and maintain a steady, balanced mind. By 1897... discussions among Sunday School teachers, Church workers and lay preachers had led me to study of the works of Ruskin, Tolstoy, Carlyle, Kropotkin, Thoreau, Emerson, Wordsworth, etc., all of whom influenced me profoundly, especially Ruskin and Tolstoy... Books like William Moms' "News from Nowhere" stimulated the minds and freed the spirits of thousands of workers from the bonds of a soul-destroying industrialism. I began to feel that the most urgent need of our time was knowledge of how to live, in every section of the community, capitalists and workers alike, and that it might be my duty to take some part in spreading this knowledge of the art of living, by word, by pen, and by living. The future of the Labour Party rests on its power to win the confidence of and to keep intact the Trade Unions, but its success in this direction will depend upon its power to shake off over-zealous theorists and those who would commit it on questions which lie outside the sphere of Labour proper. Only by limiting party action to purely Labour questions and by allowing each Labour Member of Parliament perfect liberty on all other matters, thus giving to each section of the community the right and power to extract from Labour candidates such promises and pledges as they can on those other matters, can the Labour Party hope to be successful as a party or to keep Trade Unionism intact and to save it from disaster. What you fail to realise is that when you have got your Socialist state ... you have brought in the official ... If you cannot convert men to a finer social idealism now you will not be any more likely to do so when you have got your socialist state. But then if you only get men with the right spirit in them you will have no need for Socialism, but will then proceed on the more simple lines of cooperation. From every point of view I found myself unable to sanction or support the war. It came up against what I felt to be the fundamental law of human life, that of self-giving prompted by love... I also realised that if people suppressed their convictions every time war was declared, the era of world peace and goodwill towards all men would never arrive. I therefore knew that the practice of non-violence in time of war necessitated a willingness to suffer, but also that holding fast to a principle develops an inner strength which calmly triumphs in the end. The No-Conscription Fellowship was founded in November 1914 by Fenner Brockway on the prompting of his wife. Although it was primarily a campaigning organisation aimed at mobilising the population against the threat of conscription, and as such was based in the first instance on the defence of libertarian rather than pacifist principles, the Fellowship did require of its members that they "refuse from conscientious motives to bear arms because they consider human life to be sacred, and cannot, therefore, assume the responsibility of inflicting death." Although the leading national figures and the majority of its membership were drawn from the ranks of the ILP, it did manage to draw under its umbrella a remarkable range of dissenters. As Fenner Brockway was later to recall, "in its branches scattered throughout the country, were Socialists, Anarchists, Quakers, and other religious objectors, and it was remarkable how well they pulled together." Nelson was no exception to this pattern. The bulk of the branch membership was drawn from the ranks of the ILP, and their meetings were held at the ILP premises in Nelson and at their "Clarion House" in nearby Pendle. However, the strength of non-conformist dissent in the town was such as to ensure the membership of religious pacifists such as Wellock, and his friend Richard Bland. The Nelson Branch covered the area from Burnley to Barnoldswick and had somewhere in the region of 45 members. 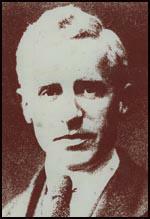 The dominant figures were Dan Carradice, one of three brothers, who was the acknowledged leader of the socialist wing, and Wellock who was secretary of the branch and the leader of the church wing. Obviously with such a rich mixture of members the No-Conscription Fellowship was not free from controversy, both at the national and branch level. There was internal debate about whether it should concentrate on the libertarian principle of conscription as an institution inimical to individual freedom, or should it be primarily an anti-war and pacifist organisation. There was also dispute, particularly after the 1916 Military Service Acts, about what stand should be taken on the issue of alternatives to combatant service. The official N-CF policy advocated the "absolutist" line of rejecting alternative service of any kind, but there remained a substantial body of opinion that felt it should be left to the conscience of the individual members. It was not solely in its internal debates, however, that the N-CF proved its vitality. In places like Nelson and throughout the country members strove by means of public meetings, pamphleteering and other forms of `persistent propa¬ganda' to convince a hostile public of the evils of conscription and the barbarity of war. Despite such efforts the Military Service Act became law on January 27, 1916 and conscription came into force a few weeks later. The immediate response of the N-CF was to increase its propaganda activities with the aim of forcing the repeal of the Act. However, members were now not only facing a largely unsympathetic public but also were in direct opposition to the state. As a consequence harassment from the government increased, whilst outraged "patriots" were given free reign to disrupt local meetings. It travelled all over the world. We sent out small packets of three, six, twelve etc into every part of the country. A large number found their way into camps and to the Front. I received letters of thanks from soldiers, even at the Front, and from all over the world, from people to whom friends had sent copies. I also received small donations from the most unexpected places. Often I found 2s. or 3s. wrapped in a piece of paper, without name, pushed in my letter box with the simple message: "For The Crusader." After that experience I have never despaired of minorities, and have never been afraid to do anything I felt was necessary, on the ground of being in a small minority. It was pacifism in the War which showed me how tremendously powerful a very tiny minority can be. The Society of Friends was, however, insufficiently radical on social and economic issues to attract the most remarkable Christian socialist pacifist of the inter-war period: Wilfred Wellock (1879-1972), an absolutist who became a Labour M.P. in 1927. Despite starting work in a Lancashire cotton mill at the age of ten, Wellock was driven by his puritan upbringing and remarkable self-discipline to improve and educate himself. As he did so, he became preoccupied with the need to restore the spiritual element in life which, from his experience in his Lancashire factory town, he believed had been steadily destroyed by industrialization. Because the Great War seemed to him to be the apotheosis of this corrupting industrialism, he seized on pacifism as the best means of rediscovering true values. "Pacifism is simply applied Christianity", he wrote early in 1916. Although eligible for exemption from conscription as an Independent Methodist lay preacher, Wellock opted to take his stand as an absolutist; and in March 1916 he launched from his home town a Christian revolutionary journal, the New Crusader, published by "the Committee for the Promotion of Pacifism, Nelson". After he went to prison, the paper was edited and financed by a Quaker novelist, Theodora Wilson Wilson (1865-1941), who had been converted to socialism during the Great War. What a country, what a world is ours!... Shameless selfishness, political and commercial corruption, self-indulgent looseness in manners - in a word, brazen materialism spreading on every hand fostered by national pride, by national and personal hypocrisy, aided, alas, by a soul sold Church - and all the fault of a Holy War! Whence did righteousness make claim to such a heritage? Can figs grow on thistles? And yet the Church is looking around aghast, and wondering why the people, after their intoxication of "self-sacrifice", should show no disposition to pay tribute to formal religion and is attributing the remissness to every conceivable course rather than the true and, indeed, obvious one. In this, as in a thousand other directions, the obvious Christian truth must be proclaimed with clarion voice. It is not to industry as such that we object; it is the spirit in which it is carried on. It is not the making of wealth that we decry; it is the making of a wealthy class. It is not necessarily the creation of cities that we deplore; it is the creation of hells by means of labour whose chief if not sole object is profit. Of one thing we may be perfectly sure: the thought of instituting the Marxist or Communist state by means of a popular rising and of expecting, after a short Dictatorship, to effect the transition from the present regime of force to that of free, non-political democracy, is a wild foundationless dream. Notwithstanding my enthusiasm for the Revolution, that is, for the spiritual aspiration and idealism of which it is the expression, and my intense desire to see these triumph, become embodied in a more rational and beautiful social order, I am not blinded to the fact that in order to make the Revolution effective things have been done which must inevitably weaken it, if, indeed, they do not bring its overthrow... The springs of action are in the mind and heart, and to these we must direct our attention if we would attain the kingdom of Heaven. Use violence and you create an enemy, and enter on a path of endless deviations. Germany today is an outstanding example of the bankruptcy of capitalism, a proof of the impossibility of further progress for civilization under the existing regime ... There is no need for the Communists to preach the Class War ... The Class War rages, and soon there will be what is tantamount to a Dictatorship of the Right. At present the Press and almost all our educational institutions are supporting slave conditions and a slave morality. By one means or another we must close the avenue to great riches, so that a new way of life and a new set of values may be revealed ... without a revolution, i.e., radical external changes, it will not be possible to create a widespread social consciousness adequate to the civilisation desired. Great changes are necessary... and if we do not accomplish them by means of a vigorous and aggressive pacifist policy they will be attempted by methods more drastic if less successful. As I moved about the country after 1920 it was next to impossible to secure a response to any kind of spiritual appeal... The only organisation that appeared to be advancing was the Independent Labour Party... The rapid march of the socialist movement in Britain at this time, with the Independent Labour party as its spearhead, owed its success to its essentially spiritual appeal. The ILP inherited the spiritual idealism of the early Christian Socialists and of the artist-poet-craftmanship school of William Morris... This was the only kind of socialism that appealed to me... I am a socialist, provided you give a spiritual interpretation to the term ... I have only recently decided to enter practical politics since I have seen the possibility of making politics, through the introduction of spiritual considerations, a veritable means of social transformation. I never felt so impotent... I found that after a few years in the House of Commons, most Members seemed to lose their enthusiasm for idealistic objectives. The general tendency was towards ease and security, and to regard the House of Commons as a first class club where one can easily meet the people who matter in the political world. It was in the "thirties" that the "bread and butter politics" of the new materialism completely overwhelmed the spiritual idealism of the earlier Socialists. The decline of that idealism was quickly followed by the rapid spread of the materialistic values of capitalism among the working classes, including the Trade Unions and the Labour Party. This meant that henceforth Party politics would degenerate into a power struggle for the right to determine which social classes or groups should benefit most from the financial policies of the Government. What struck me everywhere on this second trip (to the Soviet Union) was the big change in the spirit of the people. The workers' freedom in the factories, their participation in management, the self-denying ordinance of the communists, and the enthusiasm with which things were done, had all departed in the space of six years! Whatever soul Russian communism ever had - and I had felt its impact in 1927 - Stalin's purges seemed to have obliterated. He inherited from Lenin a considerable spiritual legacy, and left behind a spiritual wilderness. Militant anti-fascism displaced peace as the foreign policy preoccupation of the majority left, thereby depriving the peace movement of the broad base of social sympathy on which it had stood for so long... After the Spanish Civil War began, peace was no longer the vital issue of the times: fascism, and what to do about it, was. One difficulty about the Movement was the fact that I and my colleagues on the small staff at Long Acre had ceased to be pacifists, without clearly realising the fact. Soaked in politics, we were all ardent anti-imperialists and even anti-militarists, but the real essence of pacifism, which is a positive faith, was not in us. We survived the Abyssinian War, because our loathing of Italian imperialism was balanced by an equal loathing of British and French colonial policy; and we were logical enough to see that it was absurd to demand "sanctions" against Italy unless we favoured providing rival bandits with a gendarme's baton ... The Spanish Civil War presented more complicated issues, but they were not so easy to evade. That the materialistic decadent civilization of today led naturally and with increasing inevitability to that modern monstrosity, the totalitarian state, and that this called for a revolt - the creation of microcosms of democracy, which would eventually absorb the State. Finally it became clear to me that this creative purpose was the true way to world peace, and should therefore be regarded as the essential mission of pacifism. Hence pacifism was no longer a merely negative policy of non-resistance, but an instrument of creative peace, and incidentally a social revolution. I grow more and more grateful to you everytime we meet in conference. I think you can hardly over-estimate the value of your contribution to the general deliberations - so few people can take the political measure of events today, and I find your conclusions so conclusive. Your little survey - over the fire on Sunday night - was a real gift to clear thinking - especially to the younger generation who know comparatively little of the historical background. And, if I may say so I do appreciate enormously the modesty with which you habitually present a case... It was yourself and Henry Carter who made the conference the success I felt it to be. In the midst of the biggest and most devastating war in history, steps were being taken to build a more stable and enduring civilization on new foundations. By 1941 I was devoting all my time to this purpose. Every month, I spent several days at Holton Beckering to help in its work, and strengthen the faith of the men working there. In addition I visited as many of the new communities spread about the country as I could, and in the meantime wrote articles for Peace News, in whose pages Middleton Murry and I were perpetually expounding the wider aims and implications of the community concept. The real dictator of the modern world is the machine. The power of the dictators who are now harassing mankind is derived from the productive power of the machine, as is also the power of the financial dictators. Until the machine is controlled nothing else can be controlled. The profits derived from machinery led to the worship of the machine, but also to huge surpluses of goods on the world's markets, to economic breakdown, to war and revolution. Revolution brought the dictators, whose faith in machinery exceeded that of the capitalists whom they superseded. Out of that faith came total war, with all its unspeakable horrors... The first enemy of mankind today is the uncontrolled machine... It is destroying the human person and the foundations of good living everywhere. I learnt little about Gandhiji's industrial and economic policy until I came to India in 1949... I followed closely the development of Gandhiji's non-violent techniques. This was natural because the winning of Swaraj was the immediate and all absorbing problem and this was reported in Britain because it was connected with British politics. We also heard a good deal about such matters as Gandhiji's championing of the depressed classes, the freeing of the women of India and the opposition to caste privileges. Things like these we knew but not the details of his Constructive Programme... at Santiniketan we spent most of the time listening to the close associates of Gandhiji. We knew from them the close relationship between Gandhiji's concept of Swaraj and the principles of non-violence and his concept of a peaceful social order and how to realise it. We learnt that in Gandhiji's view war was simply the outward manifestation of inward contradictions within society and within the individual person. Thus the causes of war had to be sought in the way of life and habits of the people. The National Council for the Abolition of Nuclear Weapons Tests (NCANWT) had been formed in February 1957, whilst the Emergency Committee for Direct Action against Nuclear War (based at PNs offices in Blackstock Road) came into existence a couple of months later in April 1957, in a belated attempt to frustrate the British H-bomb test at Christmas Island by trying to send a boat into the test area. Later that year, in November, Hugh Brock suggested that the Direct Action Committee (DAC) should organise a march to Aldermaston.26 The first Aldermaston march took place the following Easter when 4000 people left Trafalgar Square on the four day journey to the atomic weapons establishment. By this time NCANWT had handed over its funds, files and organiser (Peggy Duff) to a new campaign - the Campaign for Nuclear Disarmament (CND). This took place at a meeting held on 16 January 1958 with Canon Collins and a group which he was later to depict as the "prima donnas of the campaigning business": they included the editor of the New Statesman Kingsley Martin, Bertrand Russell, Michael Foot, Sir Richard Acland, Ritchie Calder and Rose MacAulay. During 1958 the number of nuclear tests throughout the world reached almost one hundred, double the figure of 1957, and Britain agreed with the USA to build four bases in East Anglia for sixty Thor missiles. One of these bases was at Swaffham in Norfolk, and it was there in December 1958 that the first major action involving civil disobedience organised by the DAC took place - forty-five demonstrators were arrested for blocking the entrance to the site and thirty of them spent Christmas in jail, including Hugh Brock and Christopher Farley of PN, Pat Arrowsmith, April Carter, Michael Randle, Michael Scott, and Will Warren. So the pattern was set for the next few years - with the DAC eventually giving way to the Committee of 100's campaign of mass "sit-downs" leading up to the "National Day of Civil Disobedience" on 9 December 1961, when 5000 people took part in actions at the Wethersfield, Brize Norton and Ruislip airbases, and in supporting demonstrations in Bristol, Cardiff, York and Manchester, resulting in the arrest of over 800 - including six leading figures charged under the Official Secrets Act on 8 December. Meanwhile CND continued along the more constitutional path oforganising public meetings and rallies - including the annual Easter march from Aldermaston - and seeking to win over the Labour Party to unilateralism. As I write, before the window which looks on to the lawn, I look out on a fine array of roses and at the back of these an arc of conifers, rhododendrons and flowering shrubs, which shut out the lane beyond. It is lovely and quiet, and I can write in peace without any obtrusions of any kind. For one thing, Fanny has steadily lost her sight and also her (short-term) memory, which together have greatly reduced our leisure and made it increasingly difficult to maintain a steady correspondence with our many friends. Recently it has been made possible to remedy that situation by the fact that our Local Authority has decided to build some bungalows for the sole use of elderly people who really needed them. As I am turned 90 and Fanny is 88 we possessed a major claim to one of these bungalows, while since I am president of the elderly people's club and took an interest in promoting the welfare of such people, the committee felt I would be of great help in developing a community spirit in this new community project ... This situation frees us from a lot of uncertainties and other worries and enables us to enter upon a new way of life with free minds. I feel we can surmount the ills of old age with much less worry than would otherwise be the case.